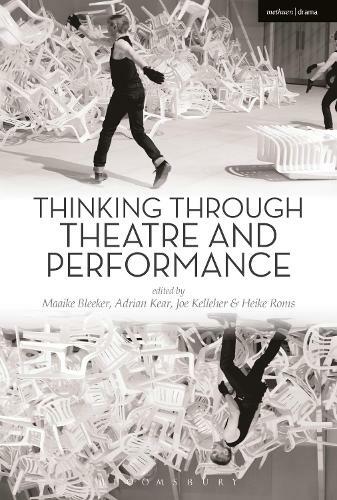 Thinking Through Theatre and Performance presents a bold and innovative approach to the study of theatre and performance. Instead of topics, genres, histories or theories, the book starts with the questions that theatre and performance are uniquely capable of asking: How does theatre function as a place for seeing and hearing? How do not only bodies and voices but also objects and media perform? How do memories, emotions and ideas continue to do their work when the performance is over? And how can theatre and performance intervene in social, political and environmental structures and frameworks? Written by leading international scholars, each chapter of this volume is built around a key performance example, and detailed discussions introduce the methodologies and theories that help us understand how these performances are practices of enquiry into the world. Thinking through Theatre and Performance is essential for those involved in making, enjoying, critiquing and studying theatre, and will appeal to anyone who is interested in the questions that theatre and performance ask of themselves and of us.